Studies on inflammation. XII Mechanism of increased capillary permeability : a critique of the histamine hypothesis / by Valy Menkin. "Reprinted from The journal of experimental medicine, September 1, 1936, Vol. 64, no. 3, p.485-502"
The role of histamine H1 and H2 - receptors in acute cutaneous inflammation / by David Frederick Woodward. v, 166 p : illus., plates; photogs. (some col.) ; 30 cm. A thesis submitted to the Council for Academic Awards in partial fulfilment of the degree of Doctor of Philosophy. PhD. - Welwyn Garden City; Leicester - 1980. Inhibitory Effect of Imiquimod‐Induced Psoriasis‐Like Skin Inflammation in Mice by Histamine H4 Receptor Agonist 4‐Methylhistamine. In: Scandinavian journal of immunology, Vol. 83, no. 6 (June 2016), p.409-417. AbstractPsoriasis is a chronic inflammatory immune‐mediated autoimmune skin disorder. The histamine H4 receptor (H4R) agonist 4‐methylhistamine (4‐MH) plays an important role in immunomodulation of inflammatory responses associated with allergic inflammatory diseases. In this study, we investigated the effects of H4R agonist 4‐MH on the development of imiquimod (IMQ)‐induced psoriasis‐like skin inflammation in mice and explored the immunoregulatory mechanism involved. The total clinical severity scores were significantly ameliorated by treatment with 4‐MH (20 mg/kg) and 4‐MH (40 mg/kg). Histological analysis of the skin revealed that 4‐MH (20 mg/kg) and 4‐MH (40 mg/kg) significantly attenuated the psoriatic phenotypes, including epidermal hyperplasis, hyperkeratosis and lymphocytes infiltration. Treatment with 4‐MH (20 mg/kg) and 4‐MH (40 mg/kg) led to reductions in the levels of Th1 cytokines (TNF‐α, IFN‐α, and IL‐27) in the serum and dorsal skin, whereas Th17 cytokines levels (IL‐17A and IL‐23) did not change in response to treatment with 4‐MH (20 mg/kg) and 4‐MH (40 mg/kg). Furthermore, the number of CD4+CD25+FoxP3+regulatory T (Treg) cells was significantly increased by treatment with 4‐MH (40 mg/kg). Taken together, these results imply that H4R agonist 4‐MH might be an effective immunomodulatory approach for treatment of patients with psoriasis and the effects may be related to inhibited epidermal alteration, selectively reduced Th1 pro‐inflammatory cytokines, and recruited CD4+CD25+FoxP3+Treg cells. Mast cell histamine‐mediated transient inflammation following exposure to nickel promotes nickel allergy in mice. In: Experimental dermatology, Vol. 25, no. 6 ( 2016), p.466-471. AbstractWe previously reported that allergic responses to nickel (Ni) were minimal in mice deficient in the histamine‐forming enzyme histidine decarboxylase (HDC‐KO), suggesting an involvement of histamine in allergic responses to Ni. However, it remains unclear how histamine is involved in the process of Ni allergy. Here, we examined the role of histamine in Ni allergy using a murine model previously established by us. Mice were sensitized to Ni by intraperitoneal injection of a NiCl2‐lipopolysaccharide (LPS) mixture. Ten days later, allergic inflammation was elicited by challenging ear‐pinnas intradermally with NiCl2. Then, ear‐swelling was measured. Pyrilamine (histamine H1‐receptor antagonist) or cromoglicate (mast cell stabilizer) was intravenously injected 1 h before the sensitization or the challenge. In cell‐transfer experiments, spleen cells from Ni‐sensitized donor mice were intravenously transferred into non‐sensitized recipient mice. In both sensitized and non‐sensitized mice, 1 mmor more NiCl2(injected into ear‐pinnas) induced transient non‐allergic inflammation (Ni‐TI) with accompanying mast cell degranulation. LPS did not affect the magnitude of this Ni‐TI. Pyrilamine and cromoglicate reduced either the Ni‐TI or the ensuing allergic inflammation when administeredbeforeNi‐TI (at either the sensitization or elicitation step), but not if administered when the Ni‐TI had subsided. Experiments on HDC‐KO and H1‐receptor‐KO mice, and also cell‐transfer experiments using these mice, demonstrated histamine's involvement in both the sensitization and elicitation steps. These results suggest that mast cell histamine‐mediated Ni‐TI promotes subsequent allergic inflammatory responses to Ni, raising the possibility that control of Ni‐TI by drugs may be effective at preventing or reducing Ni allergy. Histamine and H2 antagonists in inflammation and immunodeficiency / edited by Ross E. Rocklin. Conditioning pain stimulation does not affect itch induced by intra-epidermal histamine pricks but aggravates neurogenic inflammation in healthy volunteers. In: Somatosensory & motor research, Vol. 33, no. 1 ( 2016), p.49-60. AbstractThis study investigated whether itch induced by intra-epidermal histamine is subjected to modulation by a standardized conditioned pain modulation (CPM) paradigm in 24 healthy volunteers. CPM was induced by computer-controlled cuff pressure algometry and histamine was introduced to the volar forearm by skin prick test punctures. Moreover, neurogenic inflammation and wheal reactions induced by histamine and autonomic nervous system responses (heart rate variability and skin conductance) were monitored. CPM did not modulate the intensity of histamine-induced itch suggesting that pruriceptive signaling is not inhibited by pain-recruited endogenous modulation, however, CPM was found to aggravate histamine-induced neurogenic inflammation, likely facilitated by efferent sympathetic fibers. Allergic inflammation is augmented via histamine H4 receptor activation: The role of natural killer cells in vitro and in vivo. In: Journal of dermatological science, Vol. 83, no. 2 (Aug. 2016), p.106-115. Highlights<list-item>•H4R activation induced NKp46+cell chemotaxis in vitro and in vivo.</list-item><list-item>•H4R activation enhanced CCL17 release from I-A/I-E+cells co-localized with NKp46+cells.</list-item><list-item>•NK cells could be underestimated early responders during allergic inflammation.</list-item>AbstractBackgroundNatural Killer cells (NK cells) are identified as pivotal mediators in allergic skin diseases and accumulate in lesions of atopic dermatitis (AD) patients. Histamine levels are increased in these lesions and histamine is involved in chemotaxis in dendritic cells and NK cells.ObjectiveThe aim of this study was to determine if the histamine H4 receptor (H4R) mediates NK cell chemotaxis and whether it influences interplay between NK cells and dendritic cells during the early phase of allergic inflammation.MethodsChemotactic function of the H4R as well as the influence of the H4R on the cytokine profile of an NK cell-dendritic cell co-culture was studied in vitro. The effect of H4R activation on NK cell migration, NK cell-dendritic cell interaction and cytokine levels in the skin was further characterized in the murine TDI model of allergic dermatitis. Additionally, the impact of the H4R on dermal NK cells was determined in the ovalbumin (OVA)- induced allergic dermatitis model, comparing wild type and H4R knockout mice.ResultsThe selective H4R agonist ST-1006 induced NK cell chemotaxis in vitro, which was inhibited with the H4R antagonist JNJ7777120. In vivo, mice treated with TDI plus ST-1006 topically onto the ear, showed significantly enhanced ear swelling and an increased number of NK cells compared to just allergen challenged ears. CCL17 levels in the ear were also significantly increased 8 h after allergen challenge. Histology revealed that the main source for increased CCL17 were dendritic cells. These effects could be blocked using the H4R antagonist JNJ7777120. In the chronic model of allergic dermatitis, OVA induced NK cell migration into lesional skin sites. The number of NK cells was lower in OVA-sensitized H4R knockout mice compared to wild type mice.ConclusionsThese results identify the H4R as a new target controlling NK cell migration and NK cell-dendritic cell interaction in the skin during early allergic inflammation. These results further suggest that blocking the H4R in the skin might be beneficial in diseases like AD. Histamine enhances keratinocyte‐mediated resolution of inflammation by promoting wound healing and response to infection. In: Clinical and experimental dermatology, Vol. 39, no. 2 (Mar. 2014), p.187-195. Summary Background The role of the epidermis in the immune response is well known. While multiple cytokines are implicated in keratinocyte‐mediated infection clearance and wound healing, little is known about the involvement of keratinocytes in promoting resolution of inflammation. Aim To assess effects of histamine stimulation on keratinocyte function. Methods We performed a combined microarray/Gene Ontology analysis of histamine‐stimulated keratinocytes. Functional changes were tested by apoptosis assessment and scratch assays. Histamine receptor involvement was also assessed by blocking wound closure with specific antagonists. Results Histamine treatment had extensive effects on keratinocytes, including effects on proinflammatory responses and cellular functions promoting wound healing. At the functional level, there was reduced apoptosis and enhancement of wound healing in vitro. At the receptor level, we identified involvement of all keratinocyte‐expressed histamine receptors (HRHs), with HRH1 blockage resulting in the most prominent effect. Conclusions Histamine activates wound healing and infection clearance‐related functions of keratinocytes. While enhancement of histamine‐mediated wound healing is mediated predominantly via the HRH1 receptor, other keratinocyte‐expressed receptors are also involved. These effects could promote resolution of skin inflammation caused by infection or superficial injury. Involvement of serotonin and histamine in neuro-inflammation and cerebral oxidative stress induced by kaliotoxin of Aah venin. Histamine H4 receptor knockout mice display reduced inflammation in a chronic model of atopic dermatitis. In: Allergy, Vol. 71, no. 2 ( 2016), p.189-197. AbstractBackgroundThe histamine H4 receptor (H4R) was brought into focus as a new therapeutic target for the treatment of allergic disorders such as atopic dermatitis (AD). H4R antagonists have already been tested in several animal models of AD, but these studies have yielded conflicting results.Material and methodsThe development of ovalbumin‐induced AD‐like skin lesions was analysed in H4R−/−mice and in H4R antagonist (JNJ28307474)‐treated mice.ResultsH4R−/−mice showed a clear amelioration of the skin lesions, with a diminished influx of inflammatory cells and a reduced epidermal hyperproliferation at lesional skin sites. H4R−/−mice had a reduced amount of ovalbumin‐specific IgE, a reduced number of splenocytes and lymph node cells with a decreased number of CD4+ T cells. The H4R modulated the cytokine secretion of CD4+ T cells and splenocytes and altered the cellular profile in the lymph nodes. The anti‐inflammatory effect could only partially be mimicked by JNJ28307474 and only when the H4R antagonist was given during sensitization and challenge and not when JNJ28307474 was only given during the provocation phase of the allergic reaction.ConclusionThe H4R modulates inflammation in a chronic allergic dermatitis setting. However, results of this study indicate that it is necessary to block the H4R during ontogeny and development of the allergic inflammation. Effect of Ocimum tenuiflorum Linn Extract on Histamine Mediated Allergic Inflammation in Human Mast Cells. In: Journal of biologically active products from nature, Vol. 7, no. 1 ( 2017), p.10-17. AbstractHistamine induced mast cell allergic reaction is involved in many diseases such as asthma, rhinitis and sinusitis.Ocimum tenuiflorumLinn is an herb that has been traditionally used in Indian medicine for curing various diseases. In this study, we aim to investigate the anti-allergic effects of the aqueous extracts ofOcimum tenuiflorumLinn (AEOT) on histamine induced mast cell allergic model and thepossible mechanism of action. Aqueous extract ofO. tenuiflorumLinn was prepared and its effect on cell cytotoxicity was checked in HMC-1 cells. In order to investigate the anti-allergic effects of AEOT on mast cell degraulation, intracellular calcium mobilization, IL-13 release by ELISA. Furthermore, the effect of AEOT on nuclear translocation of NF- κB-p65 was analysed by western blotting. We found that AEOT inhibited the histamine induced intracellular calcium level. Furthermore, AEOT also attenuated compound 48/80 stimulated mast cell degranulation and reduced histamine induced IL-13 secretion in HMC-1 cells. The inhibitory effect of AEOT on the histamine induced allergic model was found to be NF-κB dependent. Taken together, this study suggests that the aqueous extract ofO. tenuiflorumLinn. might be a therapeutic candidate for allergic inflammatory diseases. SG-HQ2 inhibits mast cell-mediated allergic inflammation through suppression of histamine release and pro-inflammatory cytokines. In: Experimental biology and medicine volume 240 issue 5 page 631. In this study, we investigated the effect of 3,4,5-trihydroxy-N-(8-hydroxyquinolin-2-yl)benzamide) (SG-HQ2), a synthetic analogue of gallic acid (3,4,5-trihydroxybenzoic acid), on the mast cell-mediated allergic inflammation and the possible mechanism of action. Mast cells play major roles in immunoglobulin E-mediated allergic responses by the release of histamine, lipid-derived mediators, and pro-inflammatory cytokines. We previously reported the potential effects of gallic acid using allergic inflammation models. For incremental research, we synthesized the SG-HQ2 by the modification of functional groups from gallic acid. SG-HQ2 attenuated histamine release by the reduction of intracellular calcium in human mast cells and primary peritoneal mast cells. The inhibitory efficacy of SG-HQ2 was similar with gallic acid. Enhanced expression of pro-inflammatory cytokines such as tumor necrosis factor-α, interleukin-1β, interleukin-4, and interleukin-6 in activated mast cells was significantly diminished by SG-HQ2 100 times lower concentration of gallic acid. This inhibitory effect was mediated by the reduction of nuclear factor-κB. In animal models, SG-HQ2 inhibited compound 48/80-induced serum histamine release and immunoglobulin E-mediated local allergic reaction, passive cutaneous anaphylaxis. Our results indicate that SG-HQ2, an analogue of gallic acid, might be a possible therapeutic candidate for mast cell-mediated allergic inflammatory diseases through suppression of histamine release and pro-inflammatory cytokines. The year 2010 marks the centennial for the identification of histamine and the first glimpse of its many physiological functions. From these initial findings a rich tapestry of research has uncovered roles for histamine in almost every physiological process with new findings emerging every year. These diverse roles of histamine have made for fertile ground for the discovery of novel therapeutics, and these drugs have been so successful that the term "antihistamine" has entered the common lexicon. This book is an attempt to give a snapshot in time as to the current understanding of the role of histamine in just one important therapeutic area--inflammation. Abstract: We previously reported that allergic responses to nickel (Ni) were minimal in mice deficient in the histamine‐forming enzyme histidine decarboxylase (HDC‐KO), suggesting an involvement of histamine in allergic responses to Ni. However, it remains unclear how histamine is involved in the process of Ni allergy. Here, we examined the role of histamine in Ni allergy using a murine model previously established by us. Mice were sensitized to Ni by intraperitoneal injection of a NiCl2 ‐lipopolysaccharide (LPS) mixture. Ten days later, allergic inflammation was elicited by challenging ear‐pinnas intradermally with NiCl2 . Then, ear‐swelling was measured. Pyrilamine (histamine H1‐receptor antagonist) or cromoglicate (mast cell stabilizer) was intravenously injected 1 h before the sensitization or the challenge. In cell‐transfer experiments, spleen cells from Ni‐sensitized donor mice were intravenously transferred into non‐sensitized recipient mice. In both sensitized and non‐sensitized mice, 1 mm or more NiCl2 (injected into ear‐pinnas) induced transient non‐allergic inflammation (Ni‐TI) with accompanying mast cell degranulation. LPS did not affect the magnitude of this Ni‐TI. Pyrilamine and cromoglicate reduced either the Ni‐TI or the ensuing allergic inflammation when administered before Ni‐TI (at either the sensitization or elicitation step), but not if administered when the Ni‐TI had subsided. Experiments on HDC‐KO and H1‐receptor‐KO mice, and also cell‐transfer experiments using these mice, demonstrated histamine's involvement in both the sensitization and elicitation steps. These results suggest that mast cell histamine‐mediated Ni‐TI promotes subsequent allergic inflammatory responses to Ni, raising the possibility that control of Ni‐TI by drugs may be effective at preventing or reducing Ni allergy. Histamine H4 receptor : a Novel Drug Target For Immunoregulation and Inflammation / Holger Stark. 1 online resource(368p.) : illustrations. Other format: Also available in print edition. Reproduction available: Electronic reproduction. Warschau/Berlin : De Gruyter Open, 2014. Mode of access: World Wide Web. System requirements: Web browser. Access may be restricted to users at subscribing institutions. Holger Stark, Johann Wolfgang Goethe-University, Frankfurt am Main, Germany. The histamine H4 receptor is the most recently detected histamine receptor subtype. The molecular signaling mechanism, function & localization of the receptor will be described together with its influence on physiological and pathophysiological properties. Possibilities of novel therapeutic inventions with newly designed compounds will be included as well as numerous biochemical and pharmacological in vitro & in vivo models on different species. H4R is the newest member of the histamine receptor family, which was discovered about twelve years ago. It is considered a very promising drug target. The effort to improve the pharmacokinetic properties of the currently available H4R ligands is reflected in a steadily growing number of scientific publications and patent applications. Preclinical data strongly confirms the need for novel potent H4R ligands to explore their therapeutic value in allergy, inflammation, autoimmune disorders, and possibly, cancer. 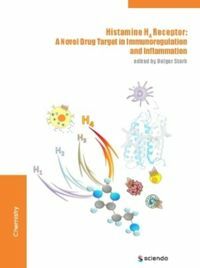 Readers will be provided with extensive knowledge on histamine metabolism, as well as cellular histamine transport, storage and release, effects of histamine and histamine receptor ligands, with particular attention to the H4R, on inflammatory cells including mast cells, basophils, eosinophils, neutrophils, macrophages, dendritic cells, and T cells. The present knowledge on the regulatory role of histamine and the therapeutic exploitation of histamine receptor ligands in atopic diseases, with emphasis on human and animal models of asthma, allergic dermatitis and pruritus are discussed. Effects of leukotriene D4 and histamine nasal challenge on airway responsiveness and inflammation in persistent allergic rhinitis patients. In: Clinical respiratory journal, Vol. 12, no. 2 ( 2018), p.587-594. Abstract: Background: Both histamine and leukotrienes are implicated in the pathogenesis of allergic rhinitis (AR), although the pattern and severity of the nasal response to these two potent inflammatory mediators may differ, which has not been adequately studied in patients with persistent AR. Objective: We sought to compare the differential effects of nasal challenge with leukotriene D4 (LTD4 ) and histamine on the airway response and inflammation in patients with AR. Methods: An open‐label, crossover study was performed in 25 persistent AR patients (AR group) and 16 healthy subjects (control group). Participants randomly underwent histamine and LTD4 nasal provocation within a two‐week interval. Nasal symptoms according to a visual analogue scale (VAS), fractional exhaled nitric oxide (FENO), nasal lavage, induced sputum, and spirometry were evaluated before and after nasal challenge. Results: Nasal airway resistance (NAR) increased significantly after both LTD4 and histamine nasal challenge in AR patients ( P < .05). The potency of LTD4 was 142‐fold higher than that of histamine in increasing NAR ( P < .001). The nasal symptom score induced by histamine challenge was significantly higher than that triggered by LTD4 (3.42 ± 0.83 vs. 1.16 ± 0.94, P < .05) in the AR group. LTD4 and histamine nasal challenge led to a significant increase in neutrophils in the nasal lavage and induced sputum ( P < .05) in AR patients. There were no significant differences in the changes of eosinophils before and after LTD4 and histamine nasal challenges in nasal lavage and induced sputum. No significant changes in NAR, the induced symptom score, or inflammatory cells in the nasal lavage and sputum were found in the control group. Conclusions: LTD4 and histamine nasal challenge caused different patterns and severities of nasal symptoms, which correlated with symptoms (TSS) that affect patient's daily life. LTD4 was far more potent than histamine at increasing the NAR, while histamine nasal challenge induced more sneezing and nasal discharge. These results may guide the prescription of anti‐histamine or anti‐leukotriene agents for treating different AR phenotypes. Prostaglandins, oxidants and histamine in inflammation : a role for nimesulide? : Symposium : Papers. Serum biochemistry, histology and transcriptomic profile analysis reflect liver inflammation and damage following dietary histamine supplementation in yellow catfish (Pelteobagrus fulvidraco). In: Fish & shellfish immunology, Vol. 77, no. ( 2018), p.83-90. Abstract: Previous studies suggested that diets containing high levels of histamine influenced digestive system of aquatic animals. In addition, the exogenous histamine was first detoxified by diamine oxidase in the intestine, while the rest of histamine was further detoxified in the liver. Thus, based on the evidence from the previous studies, we hypothesized that high levels of histamine may lead to damage on liver of the aquatic animals. Here, in current attempt, we sought to investigate the toxic effect of histamine on yellow catfish ( Pelteobagrus fulvidraco ) liver physiology and pathogenesis. In the present study, yellow catfish were fed for 56 days on diets supplemented with 1000 mg kg −1 histamine (His) or a basal diet as the control group (Con). A significant change on the morphology of the intestine and liver was observed, followed with an induction of serum activity of aspartate aminotransferase (AST) and alanine aminotransferase (ALT). Furthermore, the transcriptomic analysis was performed to gain an overview of the gene expression profile in liver between control and histamine supplemented groups. Through the bioinformatics analysis, 431 differentially expressed genes were identified. Among these genes, Gene Ontology enrichment analysis (GO) suggests that immune-related genes are significantly dysregulated. In addition, TNF signaling pathway is enriched in Kyoto Encyclopedia of Genes and Genomes analysis (KEGG), and is also the dominant pathway in immune system, suggesting that the inflammatory response and apoptosis of hepatocytes are induced by exogenous histamine. Highlights: Histamine leads to intestinal damage and inflammation. Histamine causes liver bleeding, inflammation and damage. Transcriptomic analysis demonstrates Histamine activates immune-related genes. TNF signaling pathway is enriched in KEGG analysis. The relationship of oxygen-derived free radicals and fibrinolytic activity to histamine and Helicobacter pylori in gastroduodenal inflammation and duodenal ulcerogenesis / by Abduljalil Ahmed Ben-Hamida. Thesis (M.D.) --Deparment of Gastrointestinal Surgery, Imperial College School of Medicine, Hammersmith Hospital, London 1999. Histamine in inflammation / edited by Robin L. Thurmond. Advances in experimental medicine and biology ; v. 709.
xviii, 143 p. : ill. ; 27 cm. The year 2010 marks the centennial for the identification of histamine and the first glimpse of its many physiological functions. From these initial findings a rich tapestry of research has uncovered roles for histamine in almost every physiological process with new findings emerging every year. These diverse roles of histamine have made for fertile ground for the discovery of novel therapeutics, and these drugs have been so successful that the term "antihistamine" has entered the common lexicon. This volume is an attempt to give a snapshot in time as to the current understanding of the role of histamine in just one important therapeutic area-inflammation. The first three chapters provide some background context for the rest of the book starting out with a historical perspective by Figueroa and Shankley. Bongers et al provide an overview of the pharmacology of the four histamine receptors and the chapter by Hiroshi Ohtsu describes how histamine is synthesized as well as the insights derived from mice where this synthesis is disrupted. The next several chapters discuss disease areas where histamine is known to be involved. Chapter 4 by Thomas Taylor-Clark outlines the role of histamine in allergic rhinitis, an area were antihistamines are commonly used. This is also true for ocular allergy as discussed by Ohbayashi et al. Both of these chapters highlight aspects of these conditions that are still not well-controlled and suggest the utility of new antihistamines targeting other histamine receptors. Reproduction available: Electronic reproduction. Austin, Tex. : Landes Bioscience ; New York : Springer Science+Business Media, c2010. Mode of access: World Wide Web. System requirements: Adobe Acrobat Reader or other PDF reader (latest version recommended); Internet Explorer or other browser (latest version recommended). Title from title screen. http://dx.doi.org/10.1007/978-1-4419-8056-4 Available from SpringerLink. Online version available for university members only. This requires an institutional login off-campus. Reproduction available: Electronic reproduction. New York : Springer, 2011. Mode of access: World Wide Web. System requirements: Web browser. Title from title screen (viewed on July 11, 2011). Access may be restricted to users at subscribing institutions. The year 2010 marks the centennial for the identification of histamine and the first glimpse of its many physiological functions. From these initial findings a rich tapestry of research has uncovered roles for histamine in almost every physiological process with new findings emerging every year. These diverse roles of histamine have made for fertile ground for the discovery of novel therapeutics, and these drugs have been so successful that the term “antihistamine” has entered the common lexicon. This volume is an attempt to give a snapshot in time as to the current understanding of the role of histamine in just one important therapeutic area—inflammation. The first three chapters provide some background context for the rest of the book starting out with a historical perspective by Figueroa and Shankley. Bongers et al provide an overview of the pharmacology of the four histamine receptors and the chapter by Hiroshi Ohtsu describes how histamine is synthesized as well as the insights derived from mice where this synthesis is disrupted. The next several chapters discuss disease areas where histamine is known to be involved. Chapter 4 by Thomas Taylor-Clark outlines the role of histamine in allergic rhinitis, an area were antihistamines are commonly used. This is also true for ocular allergy as discussed by Ohbayashi et al. Both of these chapters highlight aspects of these conditions that are still not well-controlled and suggest the utility of new antihistamines targeting other histamine receptors. Advances in experimental medicine and biology ; 709. 1 online resource (xviii, 143 p.) : ill.
XVIII, 143 p. : online resource. 1 online resource (xviii, 143 pages) : illustrations. The year 2010 marks the centennial for the identification of histamine and the first glimpse of its many physiological functions. From these initial findings a rich tapestry of research has uncovered roles for histamine in almost every physiological process with new findings emerging every year. These diverse roles of histamine have made for fertile ground for the discovery of novel therapeutics, and these drugs have been so successful that the term "antihistamine" has entered the common lexicon. This book is an attempt to give a snapshot in time as to the current understanding of th. Versita discipline : Chemistry, Life Sciences. Reproduction available: Electronic reproduction. Ann Arbor, MI : ProQuest, 2016. Mode of access: World Wide Web. System requirements: Adobe Acrobat Reader or other PDF reader (latest version recommended); Internet Explorer or other browser (latest version recommended). Original electronic resource Palo Alto, Calif. : ebrary, 2015. H4 R is the newest member of the histamine receptor family, which was discovered about twelve years ago. It is considered a very promising drug target. The effort to improve the pharmacokinetic properties of the currently available H4 R ligands is reflected in a steadily growing number of scientific publications and patent applications. Preclinical data strongly confirms the need for novel potent H4 R ligands to explore their therapeutic value in allergy, inflammation, autoimmune disorders, and possibly, cancer. Readers will be provided with extensive knowledge on histamine metabolism, as well as cellular histamine transport, storage and release, effects of histamine and histamine receptor ligands, with particular attention to the H4 R, on inflammatory cells including mast cells, basophils, eosinophils, neutrophils, macrophages, dendritic cells, and T cells. The present knowledge on the regulatory role of histamine and the therapeutic exploitation of histamine receptor ligands in atopic diseases, with emphasis on human and animal models of asthma, allergic dermatitis and pruritus are discussed. 1 online resource (368 pages) : illustrations. Description based on online resource; title from PDF title page (ebrary, viewed May 28, 2015). http://ebookcentral.proquest.com/li....action?docID=1249831 Available from Ebook Central. Online version available for university members only. This requires an institutional login. Print version:: Stark, Holger. Histamine H4 receptor : a novel drug target for immunoregulation and inflammation. London, England : Versita, Versita Limited, c2013 368 pages ISBN: 9788376560557.
http://ebookcentral.proquest.com/li....action?docID=1249831 Connect to electronic book via Ebook Central. "A Swiss journal of pharmacology.". v. 44 1995- 2008. Cancelled 2009. Title changed to Inflammation Research v. 44 1995. Inflammation research : official journal of the European Histamine Research Society and the International Association of Inflammation Societies. Title from web page (viewed on Sept. 17, 2012). International Association of Inflammation Societies. Print began with v. 44, no. 1 (Jan. 1995). Official journal of the International Association of Inflammation Societies and the European Histamine Research Society. Description based on: Vol. 46, no. 1 (Jan. 1997); title from contents screen (Springer LINK, viewed May 6, 2004). Latest issue consulted: Vol. 53, no. 5 (Apr. 2004), viewed May 6, 2004.
https://whel-primo.hosted.exlibrisg...id=991004607128702422 Available from 1997 volume: 46.
https://whel-primo.hosted.exlibrisg...id=991004607128702422 Available from 1995 until 1996. Latest issue consulted: vol. 56, no. 2 (Feb. 2007). Official journal of the European Histamine Research Society and other bodies. Latest issue consulted: vol. 60, no. 8 (Aug. 2011), viewed 26th July, 2011.
http://whel-primo.hosted.exlibrisgr...s_id=9911455913702420 Available from 1997 volume: 46.
http://whel-primo.hosted.exlibrisgr...s_id=9911455913702420 Available from 1969 volume: 1 issue: 1 until 1996.
http://whel-primo.hosted.exlibrisgr...s_id=9911455913702420 Available from 1969 volume: 1 until 1996 volume: 45. Inflammation research : official journal of the European Histamine Research Society ... [et al.]. Latest issue consulted: Vol. 44, no. 7 (July 1995). Continuation of: Agents and actions. Online access: Springer Verlag Springer Online Archives Collection. Full Text available:07/1969-/1996: http://rd.springer.com/openurl?genre=journal&issn=1023-3830 from Springer ( LINK ) - Historical Archive - Biomedical and Life Sciences : restrictions may apply. Check eJournal Title Search for details. Full Text available:/1997-/: http://link.springer.com/openurl?ge...ournal&issn=1023-3830 from NESLi2 - Springer ( LINK ) : restrictions may apply. Check eJournal Title Search for details. Full Text available:07/1969-/: http://rd.springer.com/openurl?genre=journal&issn=1023-3830 from Springer ( LINK ) - Historical Archive - Biomedical and Life Sciences: restrictions may apply. Check eJournal Title Search for details. Full Text available:/1997-/: http://rd.springer.com/ from NESLi2 - Springer ( LINK ): restrictions may apply. Check eJournal Title Search for details. http://whel-primo.hosted.exlibrisgr..._id=99100108983102421 Available from 2002. Most recent 1 year(s) not available. http://whel-primo.hosted.exlibrisgr..._id=99100108983102421 Available from 1997 volume: 46.
v : ill ; 28 cm. Other format: Also available on line at: http://link.springer.de/link/service/journals/00011/index.htm.